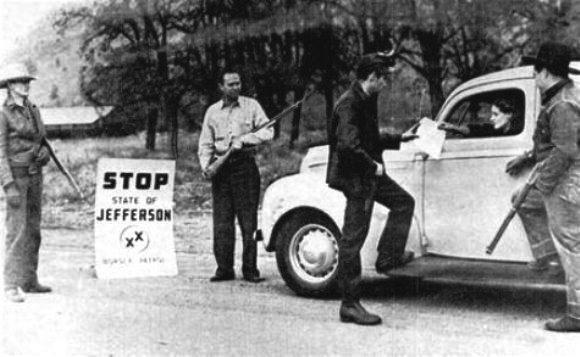 The mythical "State of Jefferson" is a product of history and local lore. But it is also a very real symbol of the urban-rural divide felt by many residents of Southern Oregon and Northern California. We've collected here media accounts of the various attempts to revive the effort to make The State of Jefferson the 51st state. Mark Baird and Marcus Ruiz Evans contrast their visions. With a population just under 40 million, California has more people than Canada. And Iraq and Poland, too. So it should surprise no one to find that feelings rise from time to time in favor of splitting California up. Or off. The Yes California campaign seeks to turn California into an independent country; the resurgent State of Jefferson movement just wants to break off the Northern part--preferably with parts of Southern Oregon--into a new state. Do they have enough common ground to work together? Nick Middleton covers the world in search of non-countries. The world is full of populations of people who wish or demand that they had their own countries. Think Taiwan, Tibet, and Crimea, for starters. But there are many more... enough to fill a book, it turns out. And that is Nick Middleton's An Atlas of Countries That Don't Exist. There are examples you've heard of, like the three above. Many more will surprise you, like the Native American lands declared independent in the middle of the United States. Kami Horton travels the "State of Jefferson" documentary. What does the world just outside the "State of Jefferson" make of our corner of the world? We'll soon find out. Oregon Public Broadcasting's "Oregon Experience" documentary series just put the finishing touches on a half-hour look at the Jefferson idea and history. The airing on OPB's TV network is accompanied by public screenings this week in Klamath Falls and Ashland (tonight, November 14). 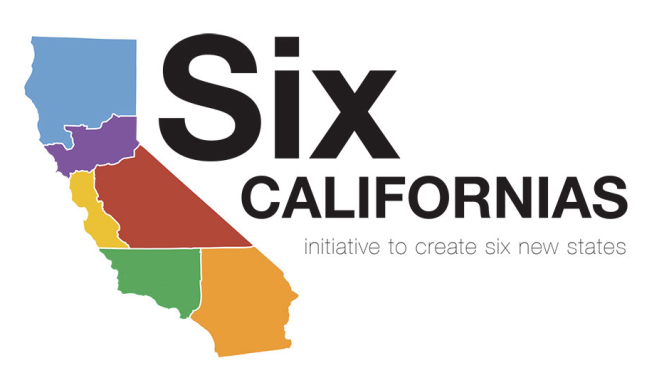 Backers of a plan to cut California into six states say they now have enough signatures from supporters to get their proposal on a general-election ballot in the state. The plan would create new states with names like Jefferson, Silicon Valley and South California. Nick Salmon lays out his vision for Travel Jefferson, a tourism campaign across the state line. Forget the political implications of a "State of Jefferson" for a moment. What would that state be like as a tourism destination? Spectacular! And an effort to promote the many attractions of the region is starting up under the name Travel Jefferson. Listeners vent on evolution positions and the idea of breaking up California. If you believe in evolution, does that make you a Democrat? That IS the general trend in America, and one of the topics in this week's VENTSday segment, the other being a new plan for dividing California. Modoc County California officials have joined Siskiyou County in voting to secede from the state. The Redding Record-Searchlight reports supervisors voted unanimously yesterday (Tuesday) in favor of secession. The vote comes just weeks after neighboring Siskiyou County supervisors began the movement. The goal is to form the new State of Jefferson and include part of Southern Oregon. Some of the residents in the counties along the California-Oregon boarder feel that those in the urban centers of state government ignore their needs. Siskiyou County Supervisors Brandon Criss (for) and Ed Valenzuela (against) talk about the declaration of desire to separate from the state of California. The "State of Jefferson" concept never translated into an actual state, but the idea is alive and well. Siskiyou County Supervisors recently voted to pursue seceding from California, due to frustrations with a perceived lack of attention from the federal and state governments. How far will it go? You'll hear from supervisors pro and con.